of seizures and countless medications later, after five pediatric neurologists, two homeopathic physicians, one faith healer, and one fruitless surgery, Charlie's seizures remained unchecked and his prognosis was for continued seizures and progressive retardation" (65). While researching treatments for epilepsy on his own, Charlie's father found a reference to the ketogenic diet and Johns Hopkins (67). Charlie was brought to Johns Hopkins for initiation of the diet. There the diet continued to be used in the epilepsy center, under the discretion of Ms. Millicent Kelly, an experienced dietician. Charlie initiated the diet, became seizure-free, and soon posted developmental progress. Charlie's father was disturbed that no one had told him about the diet. He reviewed the references of the success rate (see Section 3.2.) and was determined that the information should be available so that other parents could become aware of the ketogenic diet. He created the Charlie Foundation and made videos for parents about the diet, as well as one directed at physicians and another, an instructional video, for dieticians. The foundation has distributed over 50,000 of these videotapes gratis. The Charlie Foundation also funded the initial publication of The Epilepsy Diet Treatment: An Introduction to the Ketogenic Diet (8) and underwrote conferences to train physicians and dieticians from epilepsy centers nationwide. The first conference attendees were responsible for developing the first multicenter prospective report on the efficacy of the ketogenic diet (68). In 1995 Wheless concluded that the ketogenic diet compares favorably with other new treatments for epilepsy in children and should be available at every pediatric epilepsy center (69). This echoed a comment made by Dr. Geyelin at a presentation to the American College of Physicians in New Orleans on March, 7, 1928: "The results of fasting and the ketogenic diet are apparently the best that are obtained by any therapeutic procedure that we have to offer epileptics in childhood today" (see ref. 11). 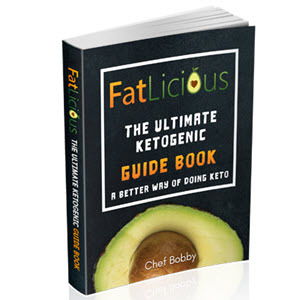 The ketogenic diet has experienced a significant reemergence in recent years, and modern clinical studies have established the treatment as significantly effective (see next section). 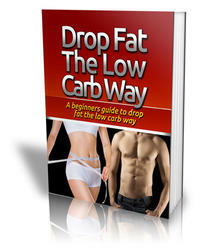 This is reflected by the dramatic increase in scientific articles regarding this treatment. Between January 1965 and December 1995, PubMed recorded 93 publications pertaining to the with ketogenic diet; however, from January 1996 to January 2003, a website of the National Institutes of Health recorded 172 publications (www.ncbi.nih.gov/entrez/query.fcgi). This documents the increased interest in the diet in the scientific community over the last 5-10 yr, and the timeliness of this book.